The history of Egypt is often concentrated on the Nile Valley, but the Eastern Desert of Egypt played an important role and one which perhaps has been, until now, little studied or understood. The mineral wealth of the desert was exploited to the full and routes across it to the Red Sea ports opened up trade with Africa, Arabia and India. Over the last twenty years much archaeological fieldwork has been undertaken in the Eastern Desert. This book looks at the wide range of archaeological sites, which date from the Prehistoric through to the byzantine Period. A really good overview of the topic is provided in chapters that look at the history of the area, at its climate, its geography and at the people who lived and worked there. The many temples and shrines are included, along with information about the stone quarries, the gold mines and the sites where gemstones were found. The international trade that passed over the desert is also discussed. As the book is well illustrated with photos, maps, plans and reconstructed drawings of many of the sites, the armchair reader can explore the remotest corners of an inhospitable, but beautiful and interesting part of Egypt. This book is an absolute must for anyone wanting to visit the area (bearing in mind that access to many of the more remote sites is difficult if not impossible). It is also important for anyone looking at the history of the Nile Valley, for it is now impossible to ignore, or not be aware of the importance of, the Eastern Desert to Egypt in so many ways. Published by AUC Press, 2008. ISBN 978 977 416 094 3. Most people visit Egypt to look at its ancient past, but it is impossible not to be aware of the present and the more recent history, for the history of Egypt is a continuous thread running from antiquity to today, a factor often overlooked in publications. A one-volume history of a country is common for other countries, so it is surprising perhaps that such volumes for Egypt are rare indeed. This new publication is, therefore, most welcome and almost an essential read for anyone visiting Egypt. Whilst books on the ancient periods are common, a visit to Egypt can often involve visiting Coptic churches, mosques, some old, some much newer, and also seeing monuments and buildings erected in the last two hundred years or so. Understanding the history of the country helps to put such places into their historical context. The more recent history of the country is of great interest too, as it helps to explain and understand what makes Egypt so special and different. The author, an expert on things Egyptological, draws on the latest historical findings and his own research to tell the story of the long timespan of human history in the Nile Valley. 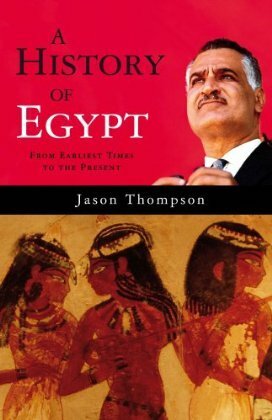 As someone who is familiar with the ancient history of the country, I found that this book makes for an enlightening and very informative read, especially the chapters covering the most recent periods of Egyptian history from the British Occupation through the Presidential periods of Nasser, Sadat and the current President, Hosni Mubarak. Published by Haus Books, 2008. ISBN 978 1 906598 04 4. The Ptolemaic and Roman temples in Egypt are among the best preserved and impressive of buildings. Largely they followed the basic design and temple layout seen in Egypt for at least the preceding two thousand years, but various innovations were introduced. The Wabet, or ‘pure place’ in the title of this book is a small chapel and court located near the heart of the temple, always near the stairs on the way to the temple roof. Wabet complexes within temples are rarely mentioned in books, or even specifically pointed out and explained by guides in the temples, but they clearly were an important part of the temple and the temple ritual in the Ptolemaic and Roman Periods. After an introduction, a chapter looks at the individual Wabet complexes and courts at thirteen sites. Visitors to Egypt may well have seen the examples at Edfu and Dendera, but others can be found at well known sites such as Philae and Kom Ombo, and also at a number of other less visited locations. Chapters look at the overall designations of the complex and its decorative schemes and finally at the architectural precursors of the Wabet. With many illustrations (though it is a shame that none are in colour) and plans of the many temple sites, this book is a fascinating insight into parts of the temples that might otherwise go unnoticed. I for one, having read the book, will now pay them much more attention when I am next in Egypt. I especially like the very clear temple plans in this book, and it is always good to see plans and images of temples I have not visited at all (which are now on my list of ones to see!) 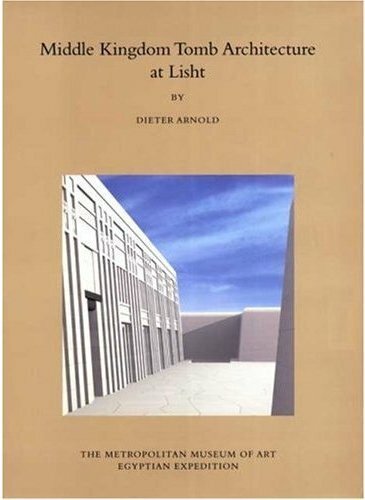 Whilst this is a scholarly and detailed academic study of the subject, it will be a worthwhile read for anyone interested in architecture and in the later Egyptian temples in particular. 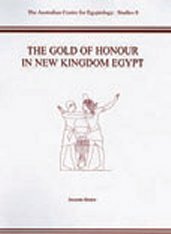 Published by The Czech Institute of Egyptology, 2007. ISBN 978 80 7308 190 4. This book was first published in 1962, just two years before the author’s death. 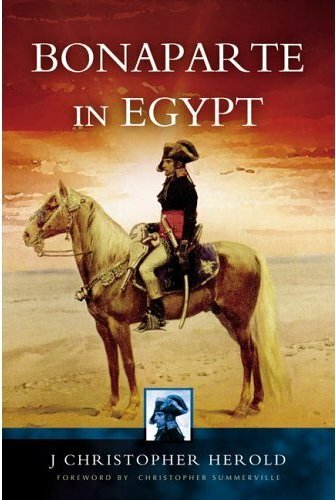 Bonaparte in Egypt is regarded by many as being the best modern account of Napoleon’s campaign to Egypt. Whilst a number of newer publications have also covered the same subject, it is good to see that this book is still available. This is a detailed and well written study which covers all aspects of the campaign, military, political and cultural. Napoleon’s plans were frustrated in his campaign, but he returned to France, nevertheless, as a hero and this set him on his road to power. The impact of the campaign and the effective opening up of Egypt had profound effects on international trade, as well as revealing to the Western world the culture of modern Egypt and its ancient past. This is a gripping story and one well told, in which the author combines the scholar’s attention to detail with the storyteller’s eye for drama. Published by Pen and Sword Books, 2005. ISBN 1 84415 285 5. The title of this book is perhaps a little misleading, for it is not really a book on Egyptian temple architecture. It is, however, an excellent account of the results of one hundred years of Hungarian excavations in Egypt, some of which involved temples. The sites where Hungarian teams have worked are many and varied, beginning with Sharuna in 1907. Sharuna is in Middle Egypt, where the remains of a Ptolemaic temple were found. This site is not far from Oxyrhynchus, where Hungarian teams also worked in the 1980s. Other places excavated include sites in the Western Desert, Thebes and Taposiris Magna on the north coast of Egypt. This book is a very good summary of the impressive work undertaken by Hungarian Egyptologists, much of which will not necessarily have been reported in the press or published in a ‘popular’ way before. 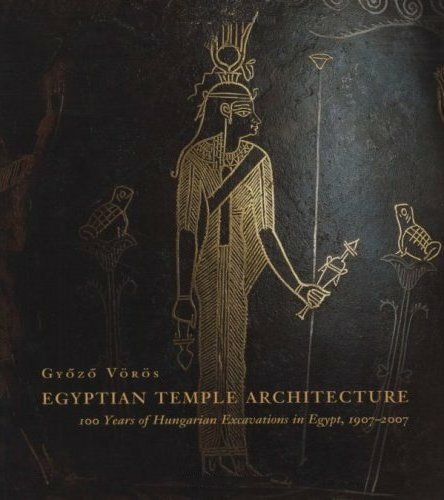 Impressively produced and illustrated, with photos, maps plans and reconstructions of churches, temples and mosques, this book is a good way of publicising and acknowledging Hungary’s contribution to the truly international world of Egyptology. Published by Kairosz Press, 2007. ISBN 978 963 662 084 4. 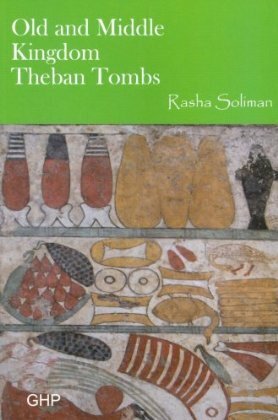 Visitors to and/or readers of books on the Theban area will be well aware of the many tombs of nobles and royalty dating to the New Kingdom and later. As this book demonstrates, this area was already an important burial ground during the Middle Kingdom and even earlier too. The author works through the known tombs chronologically, firstly looking at some Old Kingdom tombs and tomb goods recovered from them. The survival of any early tombs is little short of miraculous as, whilst there must have been a large number of them, many have been destroyed or reused/ re-cut in later periods. These tombs help to tell part of the early history of the Theban area which might otherwise have been lost. The Middle Kingdom tombs are important and impressive and many were found with some of their contents intact, such as the tomb of Meketra, which housed a wonderful collection of tomb models, now shared between the Egyptian Museum in Cairo and the Metropolitan Museum of Fine Art in New York. In the course of her research the author was able to visit many tombs that have never been open to the public and have not been published before. Well illustrated and with many maps, and plans and sections of tombs, this book is a long overdue and much needed study of Middle Kingdom and earlier tombs. It will be useful for anyone visiting the area who might want to try to see some of these tombs, rather than the familiar later ones. The illustrations also include many tomb objects from this area (many now scattered in museums around the world) and it helps to put them back into their historical and geographical context. Published by Golden House Publications, 2009. ISBN 978 1 906137 09 0. 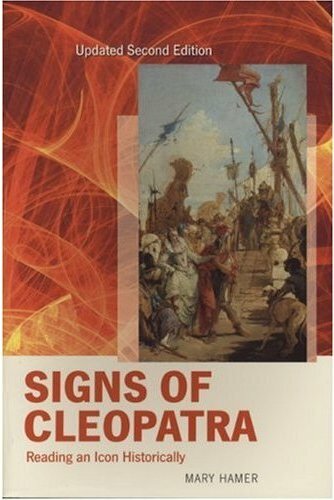 Yet more books on Cleopatra, evidence that interest in the queen, which has lasted for the two thousand years since her death, has never been greater. All the books published recently on Cleopatra, and these two books are no exception, cover the same ground and touch on many of the same themes and subjects, but will still be of interest to anyone who is fascinated by the life and times of the last Queen of Egypt and her turbulent life and dramatic death. 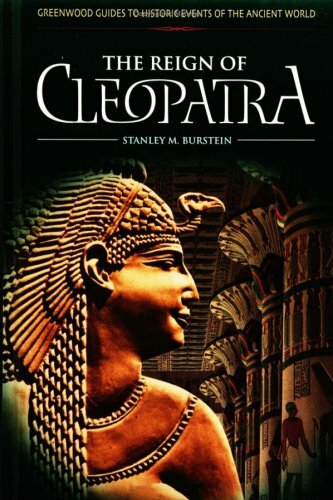 This is a revised and updated version of a book that was first published in 1993, in which the opportunity has been taken to include the latest research and ideas on the ever-popular subject of Cleopatra. Well over half this book looks at the interpretation and re-telling of the story of Cleopatra, in the two thousand years since her death, illustrated with some contemporary images of Cleopatra and many from later interpretations of what Cleopatra may have looked like, seen through the eyes of artists down the centuries. Published by The University of Exeter Press, 2008. ISBN 978 0 85989 809 6. ISBN 978 0 85989 826 3. This book on the queen concentrates on the historical figure, seen in the context of her life and times, and on the many cultures, countries and people that surrounded her. Using primary and contemporary documents, the author has written as scholarly, concise (just 150 or so pages) and very readable introduction to the life of Cleopatra as one might wish to find. Published by The University of Oklahoma Press, 2007. ISBN 978 0 8061 3871 8. Isis is one of the best known deities from ancient Egypt and her importance grew through Egyptian history, reaching a peak in the Graeco-Roman Period. As the author of this book shows, the cult of Isis became popular outside Egypt too and lasted right through to the fifth century AD. Evidence for the worship of Isis has been found as far afield as Portugal, Northern England and Afghanistan. 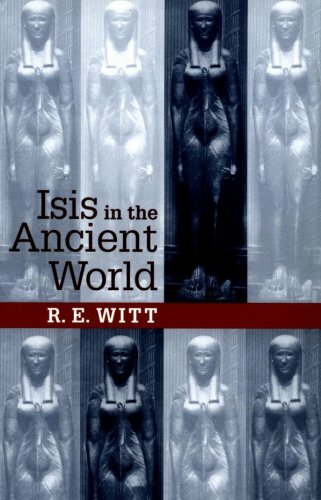 The author looks at the worship of Isis, and the impact of the cult on the Graeco-Roman world and on Christianity. Published by The John Hopkins University Press, 1997. ISBN 0 8018 5642 6. The subject of ancient Egyptian literature is only cursorily treated in many books published on Egypt. The writings of the ancient Egyptians are hugely important, firstly to the ancient Egyptians themselves and secondly to us: they provide an insight into their lives and ideas simply not available from objects and monuments. 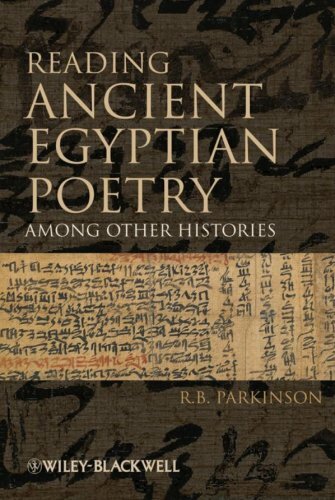 The author, one of the foremost scholars of ancient Egyptian literature, provides translations of many poems and stories but also helps to bring them to life by showing how they were part of the lives of everyday ancient Egyptians. Many of the texts date to the Middle Kingdom. In the first section of the book the author imagines and describes the experience of an Egyptian audience enjoying the poems at the time they were probably written, and as they might have been performed around 1840 BC. Interestingly, these poems and stories in later periods were regarded as ‘classic texts’ (much I suppose as we might look at works by Chaucer or Shakespeare); this topic is discussed in the second section. The final section looks at a modern audience’s approach to the poems. 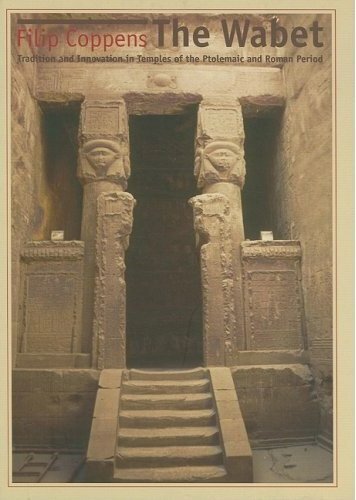 This is a truly scholarly, but enjoyable book, which provides a real and important insight into, and understanding of, the lives of the ancient Egyptians. Visitors to Lisht today may well be disappointed at the antiquities to be seen there. The remains of the private tombs at the royal cemeteries are scanty, following centuries, if not millennia, of deliberate destruction. The Metropolitan Museum has been excavating at the site for over one hundred years, and this new and impressive volume (very reasonably priced) summarises the work from 1906-1934 and 1984-1991. As this large book superbly demonstrates, the results of careful and methodical excavation of foundations, fragmentary architectural elements and pieces of relief carving have enabled the archaeologists to reconstruct, with reasonable accuracy, the original appearance of the funerary monuments. It has also been possible to associate many pieces of ancient art, in the Metropolitan Museum of Art and elsewhere, with their original locations. This is always important as, all too often, museum items are viewed without knowledge of their original context. The result is a remarkable and beautiful publication. Full of plans, architectural drawings, colour and black-and-white photos, and some excellent reconstructions on paper of some of the monuments, this book really shows how impressive the site must have been. Particularly impressive is the tomb of Senwosretankh at Lisht-South, with its wonderful decorated façade. Although sometimes archaeological reports can be over-detailed and designed for fellow archaeologists and students, this volume contains some really fascinating information and images and is an absolute must-have for anyone interested in Middle Kingdom architecture and art. Published by The Metropolitan Museum of Art/Yale University Press, 2009. ISBN 978 0 300 12344 9. The highest honour an official in the New Kingdom could hope to receive was a gift of gold from the Pharaoh, in recognition of his work. This volume is a detailed scholarly study of one of the ways the gold could be given, in the form of a heavy gold necklace, known as a shebyu collar (and occasionally including armlets and bracelets). The evidence is that such a gift was made publicly at a special ceremony and, as such, was often recorded by the recipients on the walls of their decorated tombs. In a comprehensive study, the author has traced references to the gold of honour in texts, reliefs and sculpture and also looks at the few cases where the gold jewellery has survived from antiquity. This is an important study, and one which will be of particular interest to students and scholars working in this specific subject area. 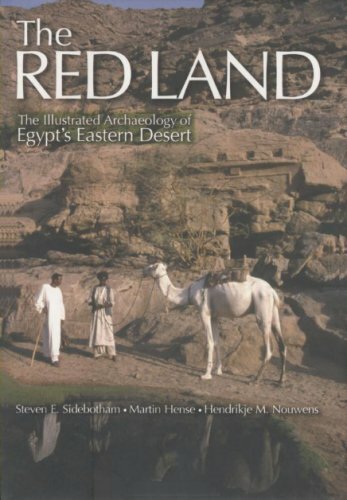 Published by The Australian Centre of Egyptology, 2008. ISBN 978 0 85668 899 7. The Dakhleh Oasis Project featured in AE throughout 2007. For the visitor to the Oasis, some of the most interesting sights are the relatively recently abandoned mud-brick villages. 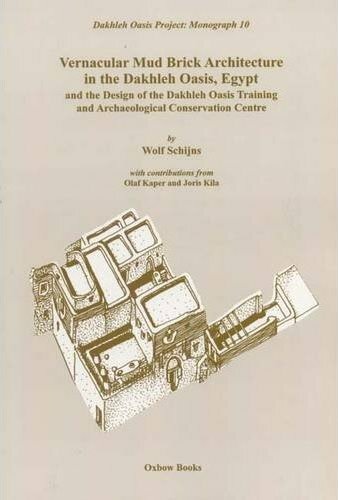 This Dakhleh Oasis Project Monograph (number 10) looks at the design of some of the old houses and how, using the ancient skills of building in mud brick, a special Dakhleh Oasis Training Centre and Archaeological Conservation Centre was designed and built in the Oasis. Mud brick is an ideal building material and the houses built in the Oasis are practical, functional and also elegant. Much work is being undertaken in the area to preserve, and in some case restore some of these unique buildings. There have been few publications on the subject and this monograph is a welcome addition, which also demonstrates the important work being done by the Dakhleh Oasis Project. Published by Oxbow Books, 2008. ISBN 978 1 84217 059 5.